← Gilly Roots…Crumplin…The South…The Surrey Hills. The Boultons, but more interesting….. The Gregory Roots! My father’s name was Boulton, but I’m more interested in his mother’s, my grandmother’s family….. The Gregorys. This section of the blog l dedicate to my cousin Dorothy (Dot), who was named after my mother because my dad’s eldest sister (my Auntie Harriet) was so fond of her……Nobody was ever named after my dad’s second wife!! This is Dot and I when we were reunited for the first time in nearly 60 years!!! Dot is a real gem and if it wasn’t for her l wouldn’t know anything about, or have any photos of my father’s family, he never, ever talked about his family, in fact it was hard to get him to talk about anything….Thanks Dot for all you have done for me……. 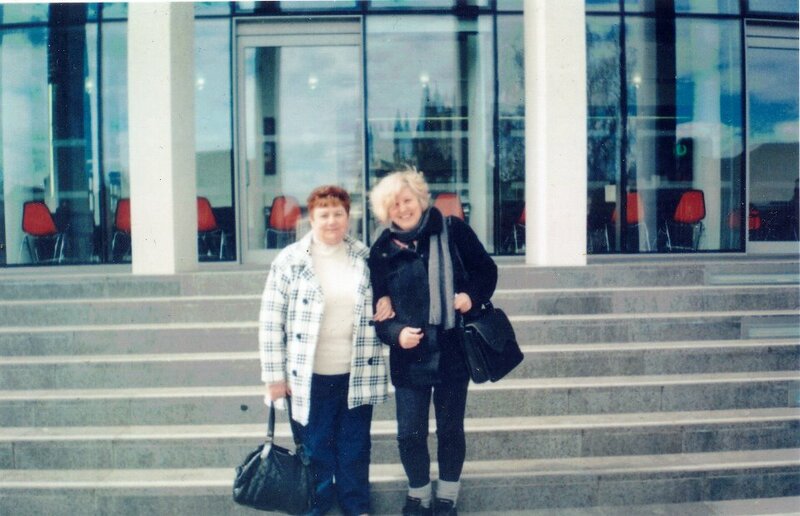 How were we reunited……Dot found me through the Salvation Army via my pension!!!!! Youlgreave or Youlgrave is a village in the Derbyshire Peak District, lying on the River Bradford, four kilometres south of Bakewell.Youlgrave nestles on the hillside above the joining of the beautiful Lathkill Dale and Bradford Dale at Alport. Set within the Peak National Park it is the largest village with a population of 1500. The origins of Youlgrave’s name is uncertain, but it is likely that it has reference to mining, which is a local industry. Most favoured contenders are ‘Ye Olde Grebe’ which means the old mine (rake). Or from ‘Giolgrave’, meaning yellow grove. Yellow refers to the colour of the ore. Grove may not be to do with trees but from groover which was another name for a miner, possibly it was where the old groover lived!? The family on my great grandfather’s side were miners, but my great grandmother’s family were farmers. 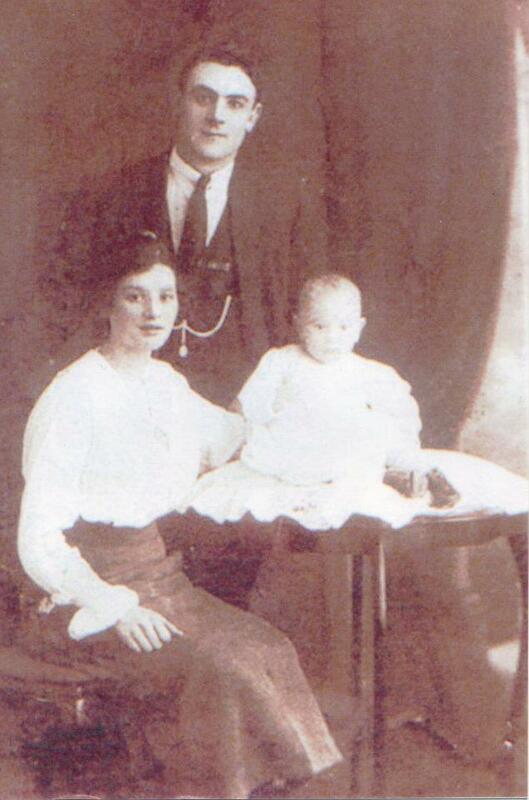 This is my great Grandmother Harriet & Great Grandfather Thomas Gregory, with their youngest son Harry who was a professional boxer!!! My Great Uncle Harry (Gregory) My Grandmother’s youngest brother who was a professional boxer from 1929 – 1937. 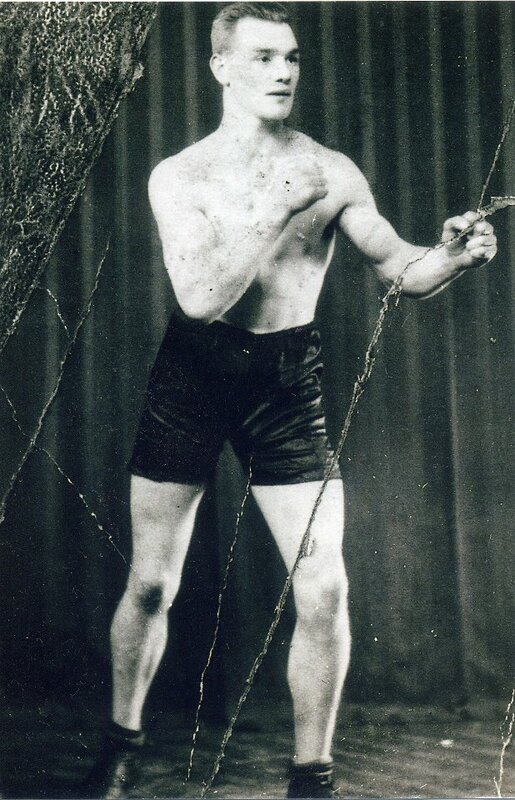 Harry Gregory from Walsall boxed between 1929 and 1937 with 83 professional contests. Also my grandma’s older brother James was a boxer too! On the left is James Gregory who had 4 children – John, Thomas Robert,Bessie & May …..Aunt Bessie & May are still alive today, Aunt Bessie is probably my eldest living relative. My Grandmother, Harriet Boulton (Gregory) she was so beautiful and clever, she was a tailoress, now l know where l get my artistic talent from, and it is lovely too that l have passed it on……To me that’s a beautiful thing. This is my grandmother Harriet with her younger sister, Elizabeth (although she signed her name Elizcath Gregory on my grandmother’s marriage certificate?) my grandmother designed and made both their dresses, she is the one sitting down on the right. 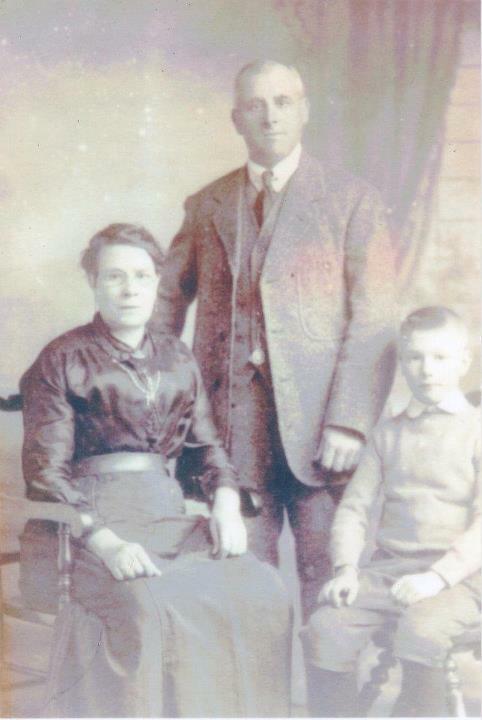 This is my grandmother Harriet with my grandfather James and their eldest child, my Auntie Harriet, my dad’s eldest sister. 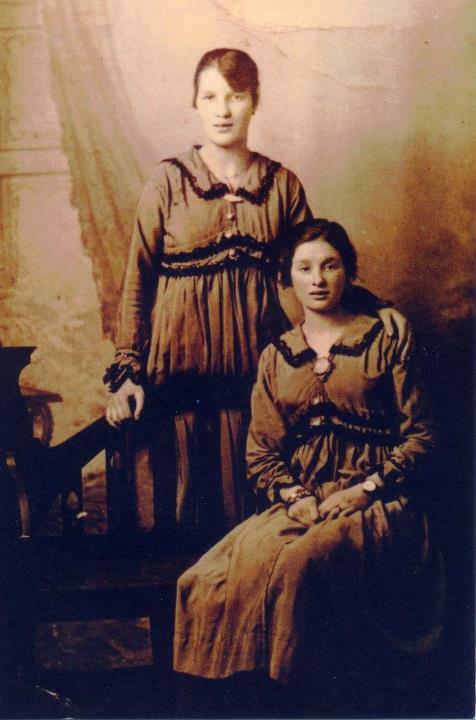 My father had two sisters, Harriet and Doris, Harriet was 3 years older and was born in 1919 and Doris was 2 years younger and was born in 1924…. My grandfather James was a complete rogue by all accounts, l knew him and wasn’t too impressed, l thought he was a tramp. He used to pop out his glass eye, which used to make my flesh crawl. l thought maybe this was a war wound, so l never showed my disgust, but now l am thinking it was because he had syphilis! Apparently he was some kind of low life that brought syphilis back to the home and infected my grandmother with it and because she was so ashamed she never went to the doctors, it went to her brain and she died by the time she was forty in 1938. Apparently my grandfather fled with my father, (who was just fifteen) leaving his daughters (eighteen & thirteen) behind. This action had a knock on effect and negative impression on my father, l feel if my grandmother hadn’t died so young, things might have been different.….BUT WOULD THINGS HAVE BEEN SO DIFFERENT THAT I WOULDN’T ACTUALLY EXIST?…….When my grandmother’s family found out the cause of her death they were suitably outraged and went after her ‘killer’ – don’t forget that 2 of my grandmother’s brothers were boxers!! 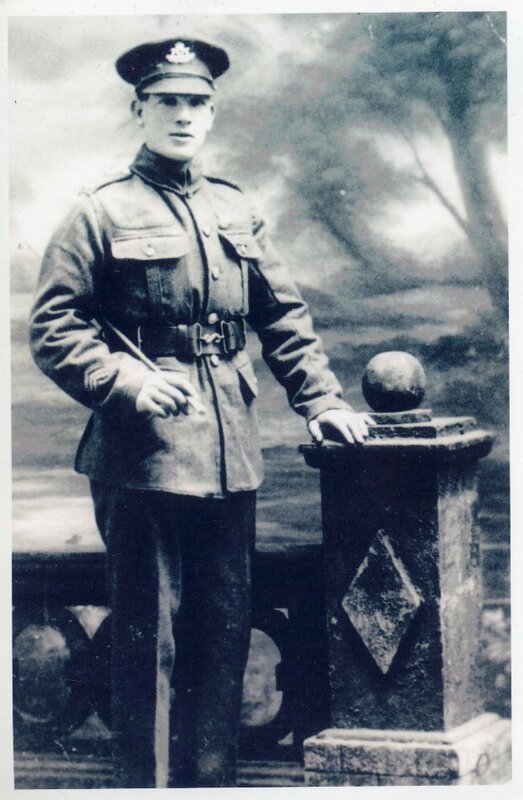 !…..My grandfather James fled with my father to Aldershot where my father enlisted in the army………When the war was over he must have decided to stayed in the area, as this was where he met my mum. l don’t know where they met, possibly in the local pub, but it wasn’t by any ad. in the paper!!! I got this Youlgrave connection from one of my new found cousins, not sure whether it was passed down though the family from my father’s cousin Bessie by word of mouth? I seem to have lost connection again from this side of the family, I’m thinking I’m too much of a southerner for them ha! I would love to see the Gregory tree, from what l’ve heard they were a good lot, my grandmother’s choice of husband was the fly in the ointment, my paternal grandfather was a bad ‘un!